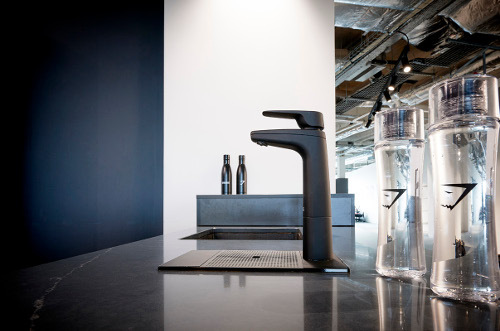 When deciding on the details for their contemporary new HQ, Katie Watkinson and her team was looking to provide an energy-efficient and sustainable hydration solution for the Gymshark staff that fit with the company’s values of excellence and innovation. The office had decided against the use of glasses and mugs in favour of individual and re-usable travel mugs for each member of staff. They wanted a tea point that reflected this dedication to sustainability. With over 200 members of staff and a modern monochrome aesthetic throughout the office, Gymshark decided a Matt Black Billi was the right fit. 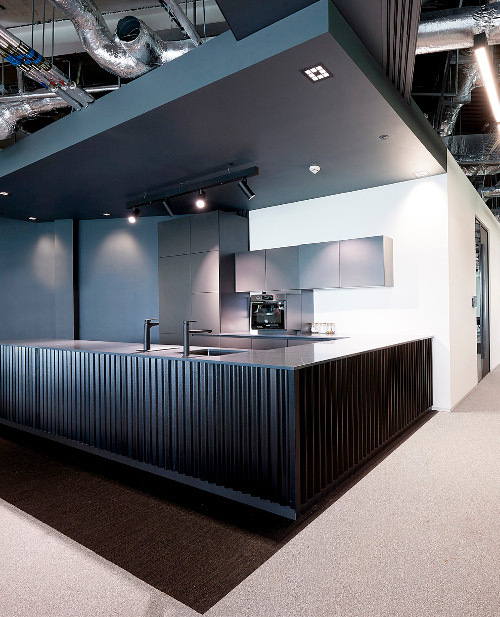 Gymshark went ahead with two of the Billi Quadra Plus 15 systems, providing boiling, chilled, hot and cold water to both floors of the impressive new HQ. The heat-exchange technology of the system fit with Gymshark’s need for efficiency, and the matt black tap fit perfectly with the aesthetic aims. This project was coordinated with Oktra. “Our experience with the Billi system has been seamless. Whilst researching a water system suitable for our new head office it became apparent to me that the Billi system in the matt black finish was most suited to our new working environment. The sales team were very helpful assisting us with the systems available that met the needs of our rapidly growing family.